Press Release: July 23, 2018 by Sanman Promotions – Three unbeaten boxers from Uzbekistan will be invading General Santos City to test the mettle of Filipino boxers in the 11th installment of the Brawl at the Mall boxing series scheduled on July 29 at the Robinsons Place Atrium. Jasur Akhmadjonov (5W-0L-0D, 3KOs), Ulugbek Sobirov (5W-0L-0D, 3KOs) and Anvar Tuparov will look to stretch their unbeaten starts against separate opponents. The three fighters from Uzbekistan are managed by Vikram Swapragasam of Vladimir Boxing. 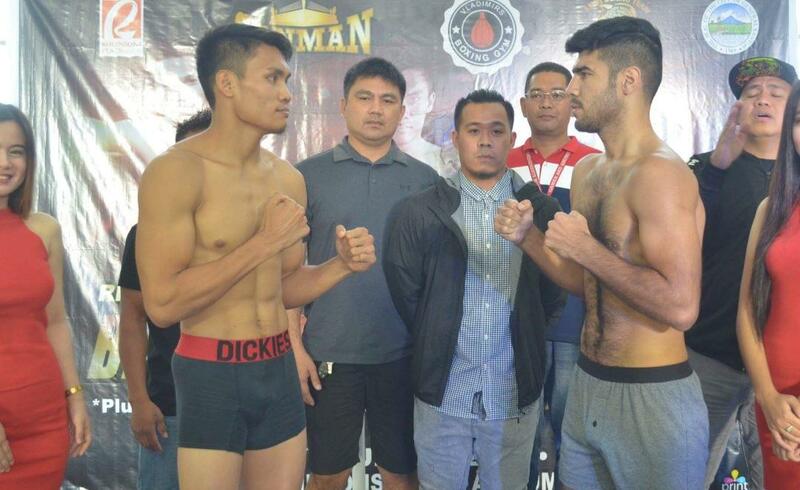 Akhmadjonov will take on Rodel Wenceslao in an eight-round super welterweight duel, while Ulugbek Sobirov will trade leathers with Dennis Padua in their own eight-round battle in the welterweight division. 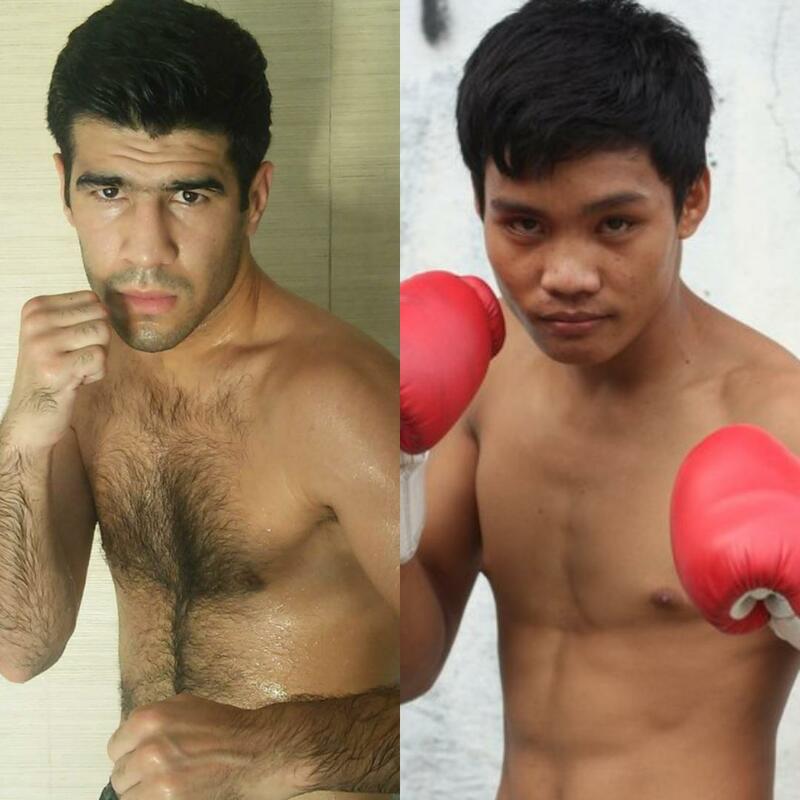 Tuparov, on the other hand, will slug it out with Adam Diu Abdulhamid in a six-round super lightweight encounter. “Filipino fight fans will witness three great international fights. Good boxers from Uzbekistan against tough Filipino fighters. Boxing fans should not miss the event,” said Sanman Promotions CEO Jim Claude Manangquil. 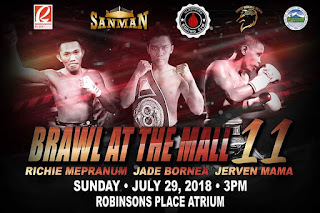 The much-awaited card will be headlined by Jade Bornea, the reigning WBO Oriental Youth super flyweight champion who is yet to lose in 11 fights with seven knockout victories. Bornea will take on Alvin Bais, who sports a 15W-12L-1D, 4KOs record. Material and Photo courtesy of: Sanman Promotions Used with permission. For more information about Sanman Promotions and to watch the Sanman Live Boxing Series visit Sanman Promotions official Facebook page: www.facebook.com/SanmanPromotions. 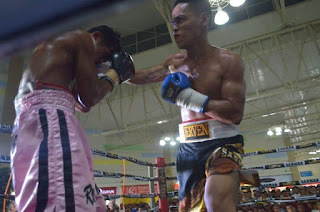 Press Release: July 21, 2018 by Sanman Promotions – The long break is soon to end for Reymart Gaballo as his next fight is already in the works. 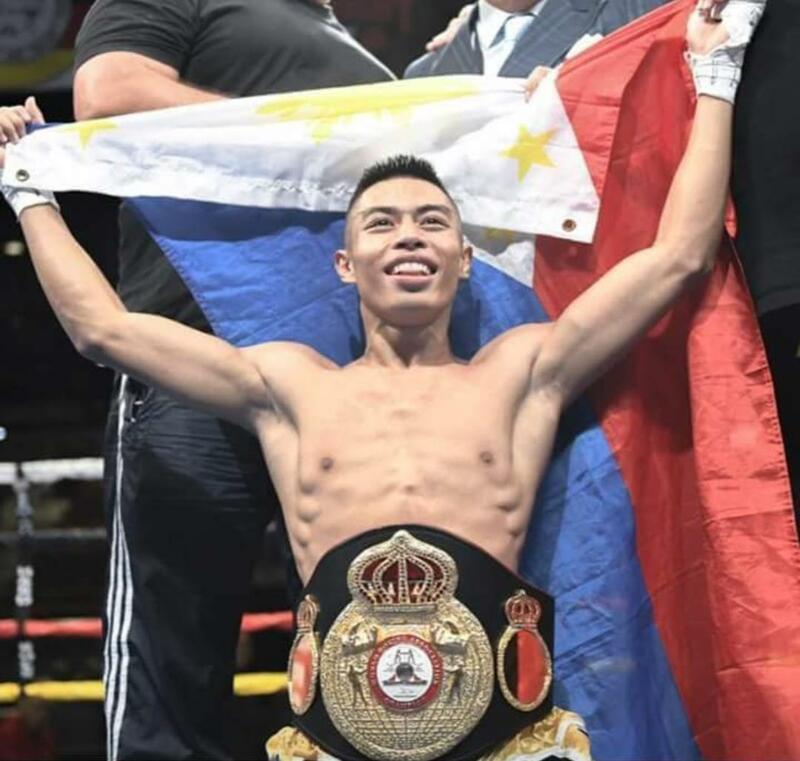 Fight fans may see Gaballo back in the ring late September where he will put on the line his interim WBA world featherweight belt, announced Jim Claude Manangquil, CEO of Sanman Promotions. “We will have a formal announcement by the end of this month or early August,” said Manangquil. Nicknamed “Assassin”, Gaballo has been itching to fight again as he has not seen action since pulling off a decisive unanimous win over erstwhile unbeaten Stephon Young last March 23rd at the Seminole Hard Rock Hotel and Casino in Hollywood, Los Angeles, California. “I’m excited to be back in the ring,” said Gaballo, whose win over Young netted him the interim WBA world title belt. Gaballo is one of the country’s rising boxing start as he is yet to lose in 19 fights with 16 knockout victories. Gaballo has started his light training at the Sanman Boxing Gym in General Santos City. “I had little rest after my world title win but I’m back to work now. I’m ready to showcase my talent again,” he said. 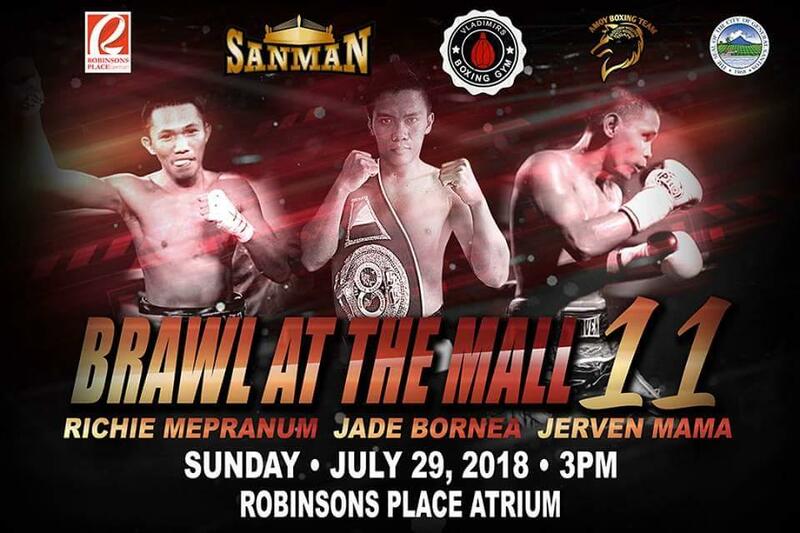 Press Release: July 17, 2018 by Sanman Promotions – Top prospects of the Sanman Boxing Gym will see action in the 11th edition of the “Brawl at the Mall” on July 29 at Robinsons Place Atrium in General Santos City. Headlining the card is Jade Bornea, the reigning WBO Oriental Youth super flyweight champion who is yet to lose in 11 fights with seven knockout victories. The card will also feature Jerven Mama, who holds a 5W-0L-1D, 3KOs card. Also scheduled to strut his wares is Richi Mepranum, who sports a 32W-7L-1D, 9KOs record. The complete card is still being finalized, said Sanman Promotions CEO Jim Claude Manangquil. “Gensan will witness another great show. A couple of top prospects will be in the card. It should be fun,” said Manangquil. Press Release: July 16, 2018 by Hosking Promotions – WBA, IBF #3, WBC #4, WBO #9 Australian Boxing sensation Andrew “The Monster” Moloney 17 – 0 returns to the ring for his 3rd fight of 2018. The 2017 Australian prospect of the year will be defending his coveted World Boxing Association Oceania Super Flyweight Championship against WBA #7, WBC #14 Luis “El Nica” Concepcion 37-6. This will be the grand opening Ultra Tune event of the new Bendigo Stadium in Bendigo, Victoria Australia. Concepcion a former 2 weight division WBA World Champion himself, a national icon in Panama this will be Moloneys biggest challenge yet. This will mark Moloneys 9thWBA Oceania fight in the Bantam & Super Fly divisions. The man known as “The Monster” has been gunning for the WBA World Super Flyweight Championship opportunity against Kal Yafai for over year. All the top rated fighters refused to take on Moloney. Concepcion has stepped up to the plate and will come to Australia. The winner will be right in the mix for the World Title opportunity. 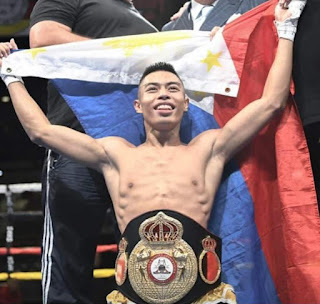 Concepcion is no stranger to travelling as he previously beat Japanese Icon Kohei Kono for the WBA World Super Flyweight Title in Japan and David Sanchez in Mexico. Moloney has great respect for the former World Champion, “Concepcion is an extremely tough and very experienced boxer, he always comes to fight and puts a lot of pressure on his opponents. I know that I will have to be in great condition for this fight. I am very familiar with how Concepcion fights, I have watched him many times over the years as he has always been one of the top guys in the Super Flyweight division. My dream is to become World Champion. Every day I am doing absolutely everything I can to achieve this dream. The event will also feature son of a legend, Tim Tszyu. As well as Aussie prospects, “Golden Greek” Adam Kaoulas, Che St John and more. 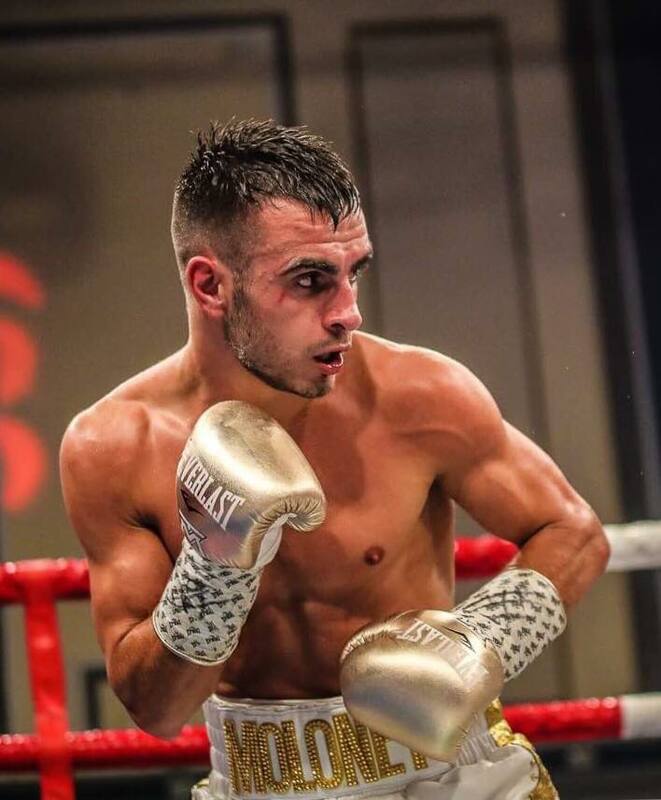 Twin Brother Jason “The Smooth” Moloney face Puerto Rican IBF World Bantamweight Champion Emmanuel Rodriguez in the Quarter final of the World Super Series, date to be determined. Material and Photo Courtesy of: Hosking Promotions Used with permission. Over the past five years, readers of The Boxing Truth® have seen a story chronicled from its debut until it’s last installment in August 2015. The story of an innovation in the sport of Boxing known by three simple letters “BKB.” A concept that was developed and nurtured by United States satellite television provider DirecTV that debuted in 2013 as a modernized form of Bareknuckle Boxing. The concept involved the idea of bringing Boxing back to its origins, but included the introduction of knuckle-exposed Boxing gloves thus modernizing Bareknuckle Boxing from its original form. What was also innovative about the BKB concept was that bouts under the BKB format did not take place in a traditional Boxing ring, but instead were fought in an area known as the “BKB Pit.” A fighting area with no ring ropes that measures seventeen feet in diameter and 227 square feet. Fights under the BKB format were also fought with two minute round limits and rounds were scheduled for five, seven, and ten rounds respectively. The first two cards in the history of the BKB concept took place in the state of New Hampshire here in the United States and featured the use of the knuckle-exposed Boxing gloves. After BKB 2 in December 2013, the concept underwent a slight revamp. Gone were the use of the knuckle-exposed gloves and with that change the abbreviation BKB: Bare-Knuckle Boxing was also charged to Big-Knockout Boxing. The use of standard Boxing gloves, the same used in traditional Professional Boxing was introduced while the rest of the BKB format remained the same. As some readers might remember in my coverage of BKB, I stated that the revamped concept while moving the concept closer to the traditional format of Professional Boxing was a necessary step as it allowed BKB to be regulated in more states and thus allowed a significant hurdle to be cleared in a quicker timeframe than that of the sport of Mixed Martial Arts (MMA), which was originally introduced as a form of bare knuckle, full contact fighting that was essentially no holds barred with the exception of no biting and eye gouging among other rules. While MMA has always been a popular combat sport from its inception in the early 1990’s on through to present day, the original format of the sport incurred the ire of many politicians and as a result many MMA promoters including the Ultimate Fighting Championship (UFC) faced an uphill battle for several years as far as licensing and regulation were concerned no doubt delaying the overall growth of the sport for several years. As the sport of MMA gradually evolved over time and gained long overdue acceptance and recognition in the mainstream as a combat sport, so too did the innovative BKB concept with notable professional fighters competing in the BKB Pit and some such as Gabriel Rosado and Jullian Pollard winning BKB world championships. There has not been much announced by BKB or DirecTV however, since BKB’s last event in June 2015. While some may choose to speculate as to the reason or reasons for BKB’s inactivity, this observer will not refer to the BKB concept in past-tense simply because there has been no announcement made of it’s closure or its status as of this writing, but one thing BKB’s inactivity has caused beyond stalling what was growing momentum is it has also taken away potential opportunity for combat sports athletes, specifically those in Boxing and those who compete in several combat sports/martial arts disciplines. While BKB remains inactive, a form of Professional Boxing has risen from the sport’s origins. A legal form of the original concept of Bareknuckle Boxing. As readers might recall in my initial coverage of BKB’s inception in 2013, I stated that when I had been asked over the years as to my thoughts of a potential return of Bareknuckle Boxing that I did not see it happening primarily due to the safety concerns, the issue of regulation and the dangers that exist in Boxing as it is, while also stating that safety standards in the sport have greatly improved over the years. Ironically, it wasn’t long after writing and releasing that column covering BKB’s debut that I had an opportunity to view a bareknuckle event that was broadcast by the now defunct GFL Combat Sports network, but the question of whether or not the event, which ultimately was a one-off was in fact regulated by a state athletic commission was not answered. During the month of June however, two separate bareknuckle events took place that were regulated by the state of Wyoming. No, this is not a reference to a term commonly used in professional wrestling to describe where matches normally take place, but rather a unique form of a Boxing ring with a circular fighting area surrounded by four circled ropes. The circled ring measures twenty-two feet and is incased on a twenty-eight foot square platform. This fighting area similar to bouts fought under the BKB format seems ideal for fighters who tend to be offensive-minded and the narrow length did ensure for bouts that were fan-friendly. While due to both the time between these events and the release and length of this column I will not provide a standard recap of the events, I will offer the reader some of my impressions regarding what took place. As was the case with the BKB format while fights were being fought with the knuckle-exposed Boxing gloves it was almost immediately noticeable as to the damage sustained by the fighters who competed due to no gloves being used. While this obviously would create concern for most people whether they be fans watching the event or those who are involved in the sport and/or cover it, there was not an instance where I felt a fight was allowed to go on longer than it should due to a fighter sustaining too much punishment and it seemed to be along the same guidelines as how Mixed Martial Arts fights are officiated in that bouts were stopped in an appropriate timeframe if a fighter had suffered too much punishment or was in a predicament where they suffered knockdowns where it was obvious that a fight should not continue. 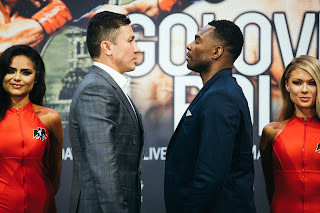 Although many of the bouts on this card saw fighters sustain cuts and other injuries, it was clear that concern over fighters safety was a priority and I feel that while Bareknuckle Boxing may not be for everyone, appropriate steps were taken to ensure those competing on this card were safe as well as the card that followed the debut of BKFC later in the month of June. While fights on the first BKFC card were scheduled for five two-minute rounds and that ensured a quick pace for most of the bouts, it did not necessarily mean that elements that are required in traditional Professional Boxing would not be needed under the BKFC format such as timing, technique, and essential tools that are a part of most boxers respective arsenals. Some of the notable fighters on this card included former UFC Heavyweight world champion Ricco Rodriguez, former world title challenger and undefeated bareknuckle legend Bobby Gunn, former UFC women’s Flyweight contender Bec Rawlings, and fellow MMA notables Joey Beltran and Tony Lopez just to name a few. What I look for whenever a new variation of combat sports is introduced is to see how the fighters approach their respective fights. Whether there will be brawling or whether bouts will be fought more tactically. Whenever something new or in this case something that has been updated from it’s original format takes place, I always find myself watching some of the early UFC events and other variations of MMA from many years ago and it is always interesting to see how much the sport of MMA evolved from it’s original tournament/bareknuckle full contact concept to what the sport is today. In this case, I went back and studied both some of the early UFC events as well as revisited some of the events that took place under the BKB format and I looked for things that might be similar between the BKB format and these two bareknuckle cards. 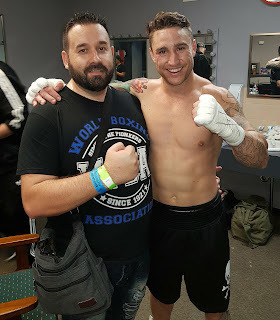 Beyond the obvious of BKB initially being introduced as a form of gloved-Bareknuckle Boxing, while these bareknuckle events were the definition of what one would think of the subject of Bareknuckle Boxing with fighters only having hand wraps slightly below their fists, I felt the combat that took place on the first BKFC event as well as the event that took place two weeks later on June 23rd titled Bareknuckle Fight Club 4, which took place at the Cam Plex Central Pavilion in Gillette, WY, which was also televised by Fite.TV were very similar to the BKB format. A mix of narrow fighting areas and fast-paced bouts created what most would call an ideal scenario for fans viewing the action as most of the bouts on both events were of the quick variety, which normally creates an exciting atmosphere. A question some might ask is who will be next to regulate Bareknuckle Boxing? Although fighter safety was a priority at both of these events as should be the case with all combat sports events, regulation might be difficult to obtain in some states due largely to safety concerns. One needs to look no further than the progression of BKB to see the potential argument that the slight revamp of the concept and elimination of the knuckle-exposed Boxing gloves and change to standard Boxing gloves opened the door for BKB to be regulated in the state of Nevada as well as opened greater exposure as more media outlets covered BKB events following the revamp than had been the case as those of us who have covered BKB from its debut in 2013. While some may debate whether Bareknuckle Boxing will be able to gain more traction beyond these two events, this observer feels much like the BKB concept that as long as safety concerns continue to be addressed that it could provide another route for fighters who are looking for an opportunity to ply their trade. Even though BKB remains on hiatus, with more legalized Bareknuckle Boxing events scheduled to take place in the coming months, there will be opportunities for multi-combat sport athletes to compete in what could be the next growing form of Professional Boxing. A form that this observer looks forward to covering as it evolves. To order Bareknuckle Fighting Championship 1 and Bareknuckle Fight Club 4 visit www.Fite.TV for ordering information. 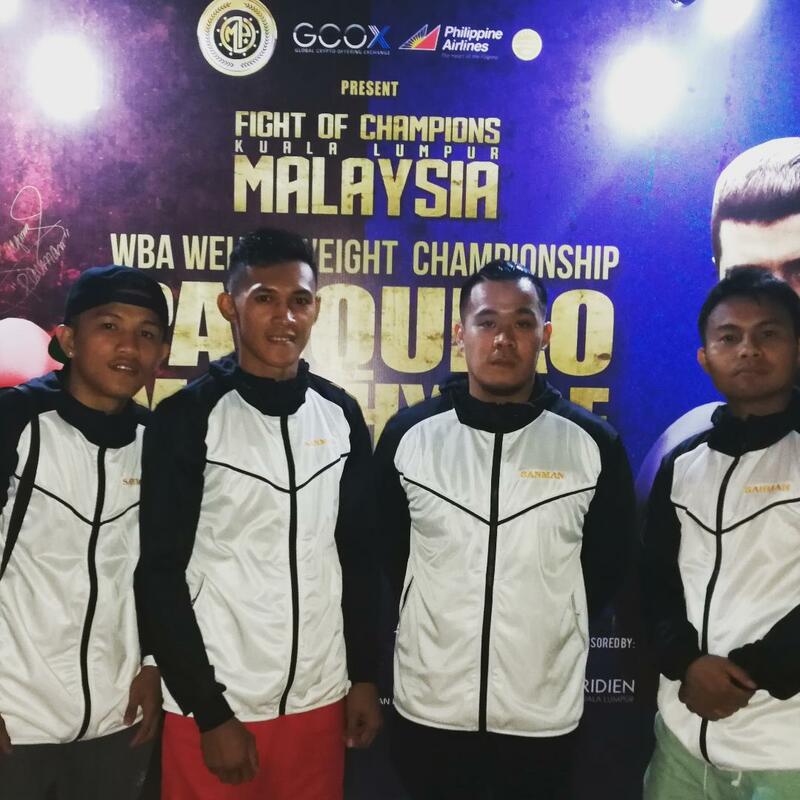 Press Release: July 12, 2018 By Sanman Promotions – Armed with the needed preparation and tremendous will to win, Harmonito "Hammer" Dela Torre has arrived in Kuala Lumpur, Malaysia for an all-important fight on Sunday. (Saturday, July 14th in the United States) Dela Torre is accompanied in Kuala Lumpur by coaches Rodel Mayol and Marquil Salvana. Also, with the team to lend support are Sanman Promotions CEO Jim Claude Manangquil and Sanman Promotions CFO Dexter Tan. Dela Torre (19w-1L-0D, 12KOs) will be fighting unbeaten Chinese fighter Yongqiang Yang in the undercard of the Manny Pacquiao-Lucas Matthysse duel in Kuala Lumpur, Malaysia. Dela Torre assured he is in tip-top shape against Yang, who is unbeaten in 10 fights with seven knockout victories. "It's been a good camp. We have a good gameplan and I can't wait for the big day on Sunday," said Dela Torre. Dela Torre is aware of the significance of the fight, hence, fight fans can expect him to go all out. "This could bring me back to title contention if I win," said Dela Torre, who is aspiring to bounce back after absorbing his first career-loss to Mongolian Tugstsogt Nyambayar last November 18, 2017 in Las Vegas, USA. It will be the second time in his career that Dela Torre will be fighting in a card headlining Pacquiao. Dela Torre fought in the undercard of the Pacquiao-Brandon Rios duel last November 2013 wherein the Sanman Boxing Gym stalwart pulled off a third-round knockout win over Indonesia’s Jason Butar. Press Release: July 3, 2018 by Dragon Fire Boxing – Leading Australian Super Middleweight “Captain Kerry Foley” has signed a multi-year managerial agreement with prominent boxing managerial company Dragon Fire Boxing. 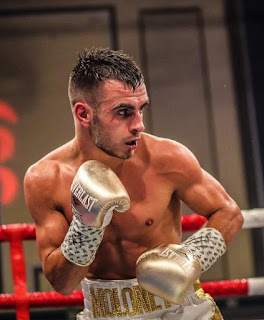 Foley has joined the growing stable of fighters, World rated fighters Reagan Dessaix, Andrew Moloney and Jason Moloney who has just entered the prestigious World Boxing Super Series. Foley discusses the transition from part-time to full-time boxer & the improvement training under Arnel “Peter” Barotillo. “Dragon Fire Boxing have done everything that they said they could and would do. My job is a boxer so I train and fight and leave the rest in their capable hands and they are doing awesome. 1 fight with them and I’ve got Jayde Mitchell. Can’t ask for any more. “You wanna see me knock people out, raise the flags. No Quarter given, Australia is gonna have a real world champion. One that hits harder then anyone in the division, is exciting and has an iq higher then his age. Material Courtesy of: Dragon Fire Boxing/ Photo Courtesy of: Tony Tolj Used with permission.